*LazyLucca* is a slightly banana-shaped shawl. 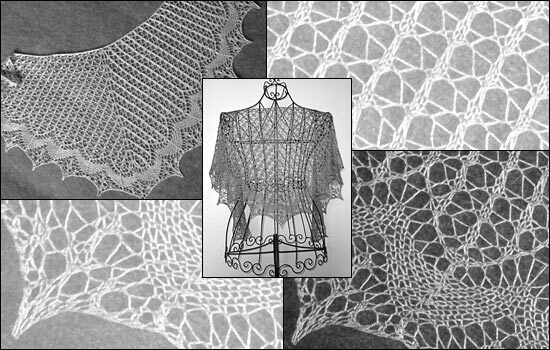 It is worked from the middle of the neckline downward in a pattern of lacy colums. It is finished with a band of stockinette stitch and a gracefully arched edging. The *lazy* shawls are a series of small patterns that make a quick knit as a gift or as a treat for yourself.